In 2000, Doug co-founded Design Mentor, Inc., as the President and CEO as well as Technical Lead. Design Mentor is an engineering consultancy specializing in the development of medical devices. Design Mentor has worked on the development of over 35 diverse medical components and systems including numerous blood and blood handling disposables and instruments. In 2001, Doug began working on his own proprietary pumping technology using a suspended magnet linear motor (similar to a speaker) coupled to a high-performance, flexible diaphragm. This effort grew into the VentriFlo® True Pulse Pump. Doug is dedicated to the ongoing development and commercialization of this groundbreaking product. 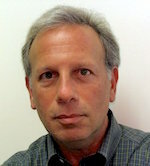 Prior to founding Design Mentor, Doug worked as an engineer and developer of medical products. Projects have included many pump based products such as dialysis machines (Baxter HomeChoice), Aphaeresis Systems (Fenwal ALYX), transportable Cardiac Assist systems (ABIOMED BVS 5000t) and Hystroscopic Surgical systems (Olympus ACMI Dolphin II). For the past 20 years, almost all programs that Doug has led or participated in have involved the pumping of blood. Doug has a BS in Mechanical Engineering from MIT. He shares seventeen patents. Click here for a more complete CEO Profile. 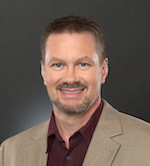 Steve has spent over 25 years in development, marketing, sales and general management of medical devices including 16 years in the cardiac rhythm (electrophysiology) and catheter ablation field. From 1996 to 2003 Steve served as General Manager and then President of the Bard Electrophysiology Division. Under Steve’s direction that division became the market leader for electrophysiology diagnostic catheters and recording systems and grew to 600 employees and nearly $90 million in sales. More recently, Steve served as President and CEO of CardioFocus, and Executive Vice President of CardioNet, an early stage company developing and supplying systems for remote monitoring of cardiac arrhythmia patients. Steve holds a J.D. from Emory University and a B.A. from Franklin & Marshall College. Prior to joining the VentriFlo project, Dr. Rohit Vishnoi served as the Corporate Vice President for the Global Device R&D organization at Hospira where he is responsible for providing strategic and operational direction. In addition, he serves on advisory boards for the Biomedical Engineering departments of Northwestern University and University of Illinois at Chicago. Prior to joining Hospira, Rohit was the Vice President for Global Product Development for the Renal Division at Baxter Healthcare. Over a 20-year career at Baxter, he held positions of increasing responsibility in R&D and general management. Teams he led were the recipients of the Janus de la Santé Award in 2006, the Medical Design Excellence Award in 2005, and the R&D 100 Award for technologically significant product development in 1995. 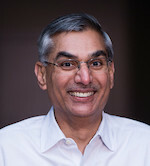 Rohit received his Masters of Management in Marketing and Finance in 1995 from Northwestern University and his Ph.D. in 1988 from the Rensselaer Polytechnic Institute. He received his Bachelor of Technology in Electrical Engineering from the Indian Institute of Technology, Kanpur in 1982. As an inventor, Dr. Rohit Vishnoi has been granted eleven design patents. Susan has over thirty years of corporate finance, mergers and acquisitions and venture capital experience, and is currently a Principal at Chartworth, a Strategic Planning and Investment Banking firm. 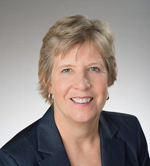 Before joining Chartworth, Susan was VP of Corporate Development at two subsidiaries of White Mountains Insurance Group, and served as VP of Development at PC Connection in Merrimack, NH. Prior to that she was VP of Development at Healthsource, Inc. of Hooksett, NH (now Cigna). Susan’s background also includes 10 years of venture capital experience including 3 years as General Partner of North Atlantic Venture Capital and 7 years with Grace Ventures. She started her business career at W.R. Grace & Co. headquarters as a financial analyst. She serves on the Board of Directors of several local organizations including Delta Dental Plan of New Hampshire, Associated Grocers of New England, and Birch Hill Terrace. Susan has an MBA from The Amos Tuck School of Business Administration at Dartmouth College and a BA from Colby College. Brian Key is Vice President and co-founder of Design Mentor, Inc., a startup founded in January 2000 to “advance the art of sterile fluid pumping in the medical industry”. Previously, Brian was Director of Privacy & Security for the Philips HealthSuite Digital Platform and the Director of Service Delivery Lifecycle for the Philips EII BU. Formerly, Brian was Manager, Technical Products Management Group at Andover Controls Corp., where he was responsible for Andover’s new products from concept, through design/development and quality assurance, to launch. Earlier, working with Dean Kamen at DEKA Research & Development Corp, Brian was Principal Software Engineer and co-inventor of the Johnson & Johnson Independence 3000 IBOT Transporter. 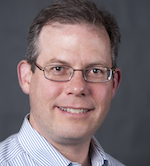 At Teletrol Systems, Inc., Brian was the Principal Firmware Engineer and Chief Architect of a family of networked building automation and control systems. He holds a BS in Computer Science from the University of Lowell, MA.